Special 2017 Limited Edition Holiday Label! 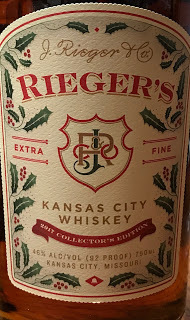 Jacob Rieger and Company was founded in 1887 in Kansas City's West Bottoms Livestock Exchange district. The brand offered over 100 alcoholic products and took pride in maintaining a quarter of a million unique customers by offering mail-order delivery services. In 1919, Prohibition was enacted by the federal government and was not reversed until 1933. J. Rieger and Co. was a casualty at the time, but was not destined to be lost forever. 95 years after Prohibition, we can officially say that the historic and iconic spirits brand of Kansas City is back!